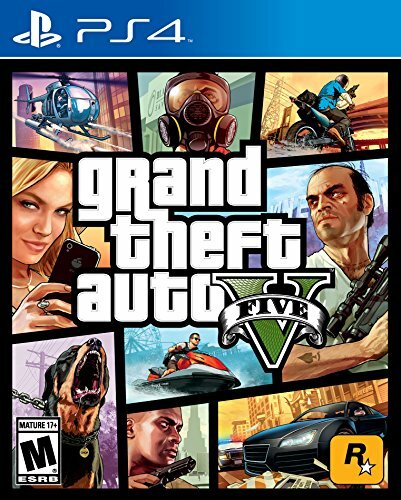 Grand Theft Auto V also comes with Grand Theft Auto Online, the dynamic and ever-evolving Grand Theft Auto universe for multiple players. With the expansive game world and fluid mechanics of Grand Theft Auto V as a foundation, Grand Theft Auto Online expands and evolves with regular content updates created by Rockstar Games and the Grand Theft Auto community. With assistance from characters from the story of Grand Theft Auto V, players rise through the criminal ranks by banding together with friends to complete Jobs for cash, purchase properties, vehicles and character upgrades, compete in traditional competitive modes such as Deathmatches or Races by land, air or sea, or create your own content to play and share with the Grand Theft Auto community.